This time we tried a new setup with three towers: 4x5el DK7ZB heading NW, 20el Cushcraft heading NNE and 4x5el DK7ZB heading E. In addition the second operator used a 17el Cushcraft longyagi, equipped with a fast rotator. Our main TRX was an IC765 with a LT2S transverter. The second TRX was meant to be an IC756proII with a TR144H, but the transverter broke down the day before the contest, so we had to use an IC706. As amplifiers we used a HA8UG PA with GS35b tube and a Fisher PA with a 4CX250B tube. The power was supplied by a 10kVA diesel genset. In addition a special software helped us to achieve a better integration of the second operator: The software analyses packet cluster messages and displayed only spots of stations we did not have in our log, combined with QRB and QTF. By the click of a button the data was transfered to the second TRX and, after checking the readability of the spotted station, to the first TRX. As in September we began to set up the station on Friday. The weather was fine, no rain but cloudy. 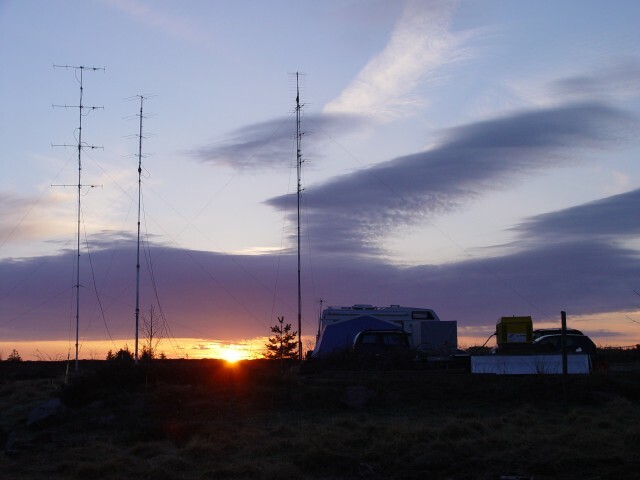 The antennas were ready at 20:00 local time and the station, again installed in our mobile home, was ready 4 hours later. Yet without packet and CI-V connections we checked the system and had to find out that the TR144H was broken. Fortunately the first TRX worked flawless. While adjusting the station shortly before the contest we found out that we produced splatter due to a misadjusted mic gain. The reason was that our Heil pro-set headset microphone has a gain distribution which heavily depends on the input frequency and produced overmodulation while the average power was still ok.
We began the contest with more than 90 QSOs per hour and the integration of the second op worked out quite well. 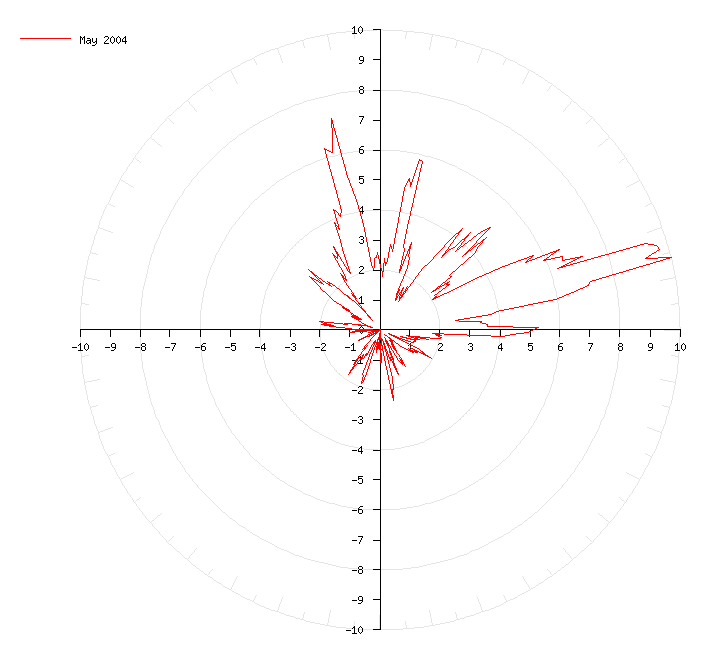 The IC706 as a second TRX turned out to be really bad in a contest application. We heard many intermodulations due to strong signals, but since our second transverter broke down we had no other choice. In contrast the first station (IC765, LT2S, HA8UG) did its job quit good. We had no technical problems while in contest, besides packet: We tried different PR stations and different antennas but were constantly loosing the connections. It turned out to be a communication problem with the multiport RS232 card we used. We were able to improve the QSO rate to the north and to improve the QSO rates towards our main directions. We finished the contest with 838 QSOs and 275512 Points - again a new record for DL0BL. The farthest contact was HG9VHF (906km) as in September.